REF1304: Designed by JD Garonni, the highly reputable Merry Fischer 925, represents a unique boat for a family or two couples. 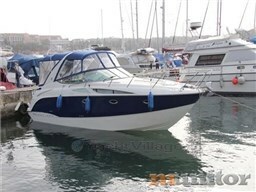 The specific, VAT paid, Jeanneau Merry Fischer 925 has been well maintained by her owner. She received a full service and a refit in 2017 and her annual service in 2018. She offers very comfortable and low consumption (approx. 38lts/h!) cruising with her diesel engine and her straight shaft drive - a rare benefit for such boats. The flybridge offers excellent control during cruising. Fitted with electro-hudraulic passerelle, many covers, VHF, GPS/Plotter, extra outboard (new) Tohatsu 20HP (not included in the asking price). You are welcome to contact Alvea Yachts Brokerage for additonal information about this Jeanneau Merry Fischer 925 for sale. Alvea Yachts is a leading professional Yacht Broker company located in Athens, Greece. Her specialization is in the areas of used yachts for sale. She has a carefully selected and continuously updated list of Motor yachts and Sailing yachts for sale. We, in Alvea Yachts, saw the need for honest, knowledgeable yachts' brokerage services to surpass the expectations of customers, coming from many parts of the world. Buying or selling a yacht is a complex process which requires expert and constant guidance. Alvea Yachts is fully equipped to meet the high standards which yacht customers have come to expect. Alvea Yachts professionals have strong experience in the leisure marine industry, having built their reputation on delivering exceptional levels of customer service across all their sales and after sales departments and they intend to continue this ethos. Our professional associates cover every aspect of the requisite processes such as Legal, Technical, Insurance, Transportation, etc. They will work closely with you and will navigate you through the process towards the successful acquisition or sale of your new Motor Yacht or Sailing boat. Alvea Yachts' objective is to match your needs and unique standards with the best possible options. You are welcome to contact Alvea Yachts for any additional information or assistance you may need. 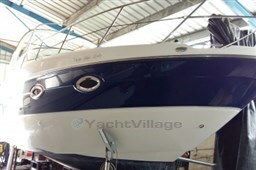 Guten Tag, Ich habe auf YachtVillage Ihr Angebot gesehen für Jeanneau Merry Fischer 925 - 2005 (code: 301665). Ich interessiere mich für das Angebot und möchte Sie bitten, mich zu kontaktieren. Vielen Dank. Für weitere Informationen zu diesem Boot oder zu anderen Booten der gleichen Art und Klasse Digibusiness Srl die Gesellschaft, die YachtVillage verwaltet, und Alvea Yachts Brokerage, die Firma, die das Boot ausstellt, müssen unbedingt die Daten der interessierten Person erfasst werden (Vorname, Nachname, E-Mail-Anschrift, ggf. Telefon). Diese Daten werden entsprechend der im Bereich PRIVACY dieser Webseite veröffentlichten Informationsschrift zu den dort angegebenen Zwecken und Modalitäten verarbeitet, die hier aufgerufen werden kann.